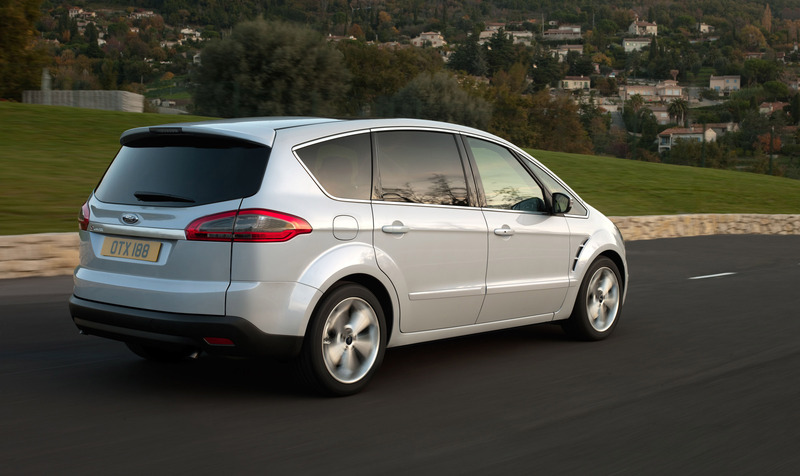 With the new S-MAX and Galaxy, Ford's design team has achieved significant changes to enhance each vehicle's individual and expressive kinetic design styling. 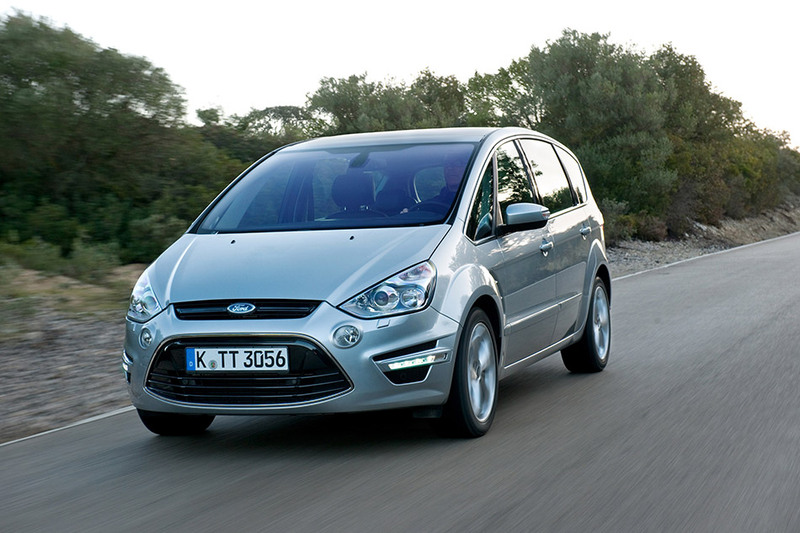 From launch in 2006 the Ford S-MAX quickly established itself as a car without peers - a sporty, high quality and well-equipped crossover that provides all of the benefits of a people mover, but without sacrificing style or driving enjoyment. The new model maintains this tradition and has been thoughtfully updated with significant detail changes to the exterior including a strongly sculptured bonnet and all-new front fascia, emphasised by the bolder graphic of the gloss black lower front trapezoidal grille. 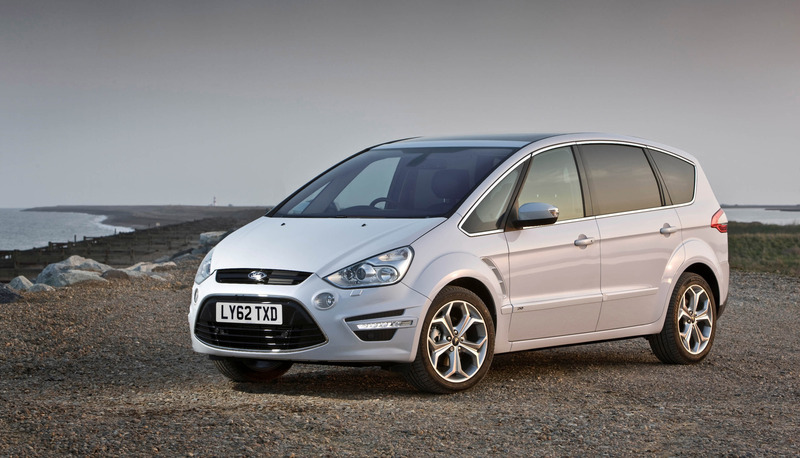 This gives Ford S-MAX a distinctive new presence on the road and a new lower front bumper which, on high series models comes with distinctive LED daytime running lights (optional for Trend series), further strengthens the car's purposeful stance. 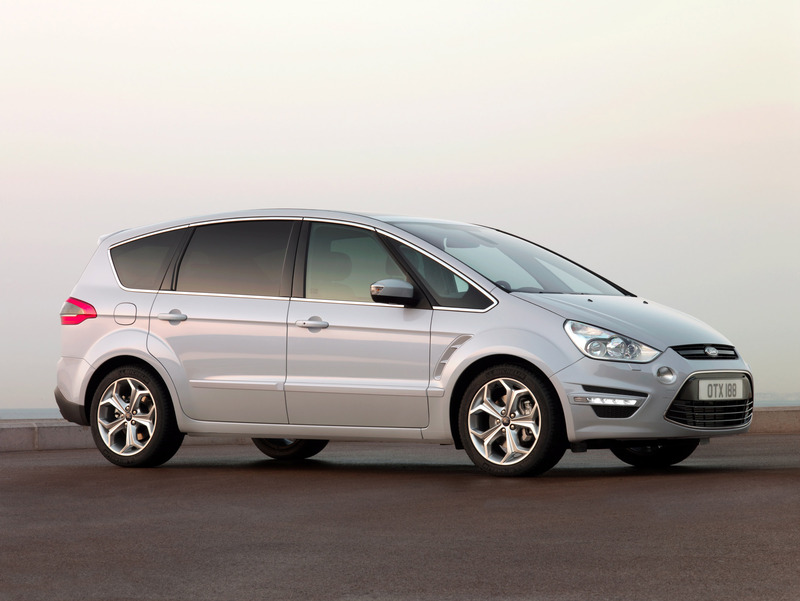 From the side, Ford S-MAX is instantly recognisable and now stands out even more with its window profile enhanced by a chrome strip, which surrounds the whole glass area to enhance the car's sleek and sporty lines. The rear of new Ford S-MAX has also been re-designed with a more dynamically profiled tailgate, a lower fascia, and new LED tail lights that extend deep into the rear side flanks, creating an even stronger athletic appearance. Boosting its premium appeal while further distinguishing the new car is a horizontal satin chrome bar, which runs between the LED tail lights and is embossed with the distinctive S-MAX logo. 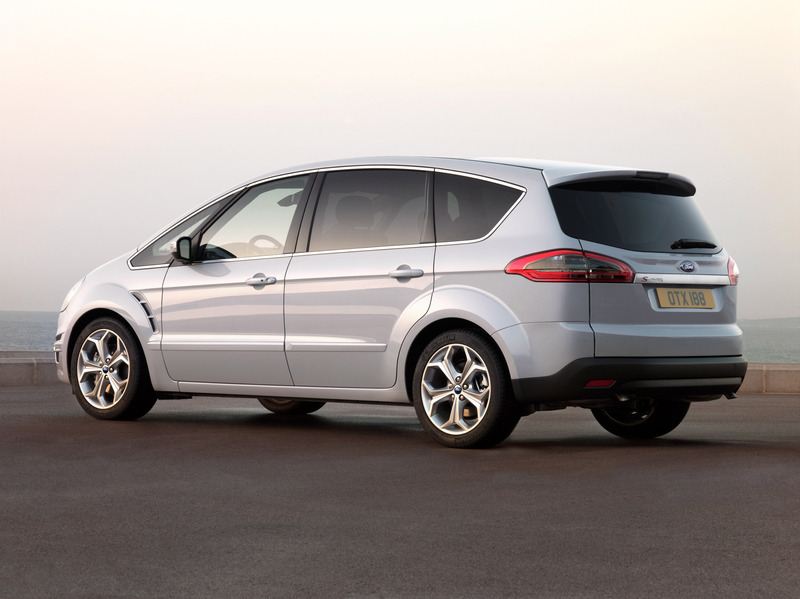 The new Ford Galaxy also features a re-designed frontal section, which emphasises its 'first class travel' appeal and, along with a number of significant other detail revisions, enhance its role as Ford's luxurious, full-size seven seat people mover. A new, more sculptured, bonnet combines with the Ford Galaxy's new front fascia design - which incorporates a bolder lower trapezoidal grille with inserts featuring subtle chrome bars - and new-look fog lights to emphasise the Ford 'kinetic design' influence. Ghia and Titanium models are differentiated further with chrome bars in the upper grille as well. The roof incorporates new bolder integrated silver rails for cross bars, while at the rear, distinctive new LED lights and body-coloured lower fascia are standard equipment. Ghia and Titanium series models also receive additional chrome detailing on the side mouldings and door handles. As with the revised exterior, real attention to detail and high quality execution are key to the new interiors for both models. Carefully balanced new colour and material choices deliver a luxurious and dynamic feel, which helps differentiate the individual personality of each model to meet particular customer tastes and requirements. For both vehicles, the Ford FoldFlatSystem comes as standard for the second and, where fitted, third row of seats. 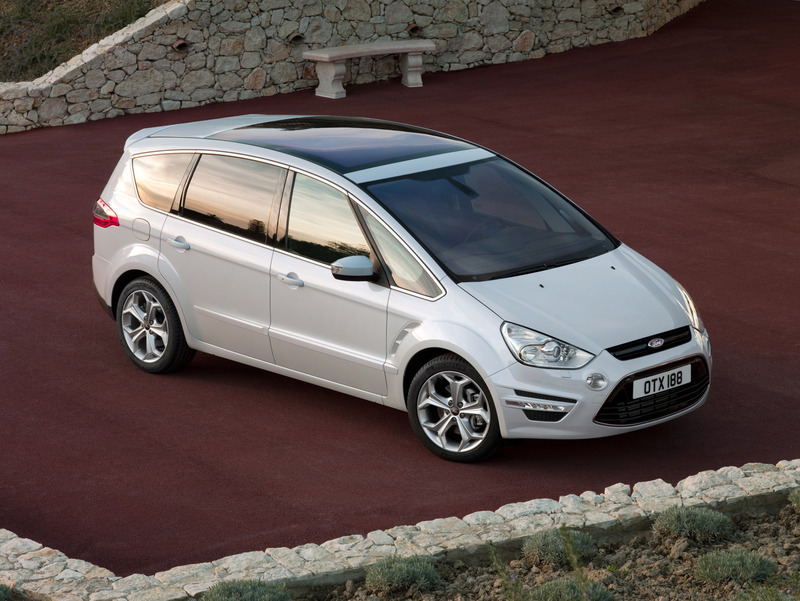 Ford S-MAX high series models get a new multifunctional overhead console with capacious stowage, sunglasses holder and child watch mirror, and a new one-piece panorama roof equipped with power sun blinds. For the first time high series Ford S-MAX models, and all models fitted with the panorama roof, get a new LED interior lighting system. Music lovers will enjoy the all-new Ford Galaxy and S-MAX Premium Sound System option that is based around an eight-channel amplifier with an overall output of 265 Watts, with an upgraded speaker system, including additional centre channel speakers in the centre of the dashboard and a large sub-woofer fitted behind the left front seat. Loading through the rear tailgate is also made easier thanks to a new courtesy light, fitted into the inside panel on the liftgate, that illuminates when it is opened. New interior colours, graphics and materials are offered across all series, and have all been chosen to create an overall premium feel while also supporting the individual character of each model. Ford's new S-MAX and Galaxy offer a broad selection of the latest Ford powertrain technologies developed to offer a strong combination of improved fuel economy and lower emissions without sacrificing Ford's renowned driving enjoyment. These are the first vehicles to offer an all-new 2.0-litre Ford EcoBoost SCTi engine, which heralds a new era in Ford's petrol engine development. Featuring lightweight all-aluminium construction, the latest-generation high-pressure direct injection system, low-inertia turbocharging and twin independent variable cam timing, the 2.0-litre EcoBoost SCTi has an advanced combustion system which brings new levels of performance and fuel efficiency to petrol engines in this power range. The 2.0-litre EcoBoost SCTi engine has a maximum output of 203 PS (149kW) at 5,500 rpm, combined with maximum torque of 300 Nm, which is delivered across a broad 1,750-4,500 rpm range. With this new powertrain, the Ford S-MAX achieves 0-100km/h (0-62 mph) acceleration in 8.5 seconds (8.8 seconds for the Ford Galaxy) and a top speed of 221 km/h (137 mph) - 217 km/h (135 mph) for the Ford Galaxy. Yet even with this responsive performance, fuel economy and CO2 emissions from the new engine are significantly improved. Compared with the previous 161 PS 2.3-litre automatic powertrain, CO2 emissions are reduced by 19 per cent to 189 g/km, even though the new 2.0-litre SCTi engine has over 25 per cent more power. This translates into a combined fuel economy of just 8.1 l/100 km (34.8 mpg) and an extra urban figure of 6.4 l/100 km (44.1 mpg). 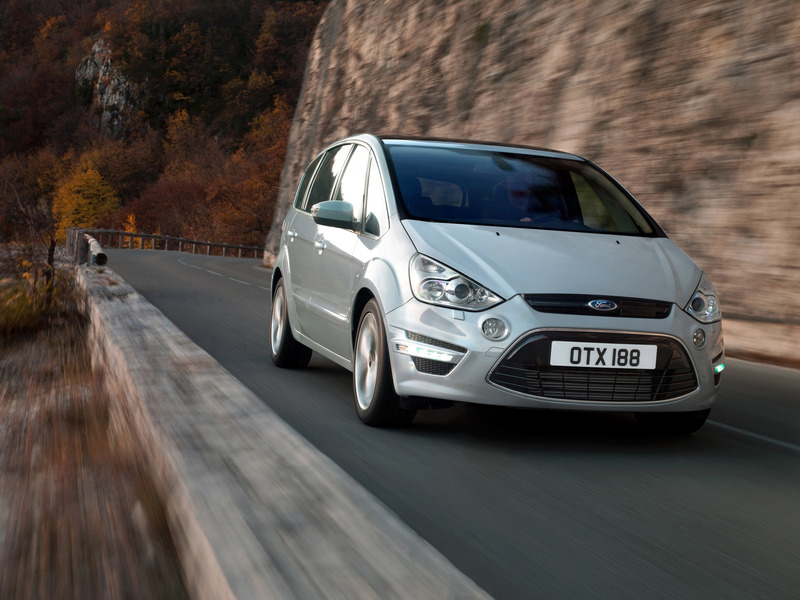 At the same time, Ford's diesel offering for the new S-MAX and Galaxy has been significantly improved. The upgraded 2.0-litre Ford Duratorq TDCi engine family complies with Stage V emission regulations and is also available in three power levels - 115, 140 and 163 PS (85, 103 and 120 kW) - for the first time. Engineered to deliver refined performance and low cost of ownership, these new Duratorq TDCi engines also deliver impressive combined fuel economy and CO2 performance. With a consumption of 5.7 l/100 km (49.5 mpg) and an average CO2 emission of 152 g/km, the new S-MAX and Galaxy, with six-speed manual transmission, prove that it is possible to combine driving fun and compelling performance with high efficiency. The efficient and smooth-changing Ford PowerShift double wet-clutch transmission is a perfect match for both the new petrol direct injection and common rail diesel engines. It is standard with the new EcoBoost SCTi and also available as an option with the 140 and 163 PS (103 and 120 kW) versions of the 2.0-litre Duratorq TDCi. 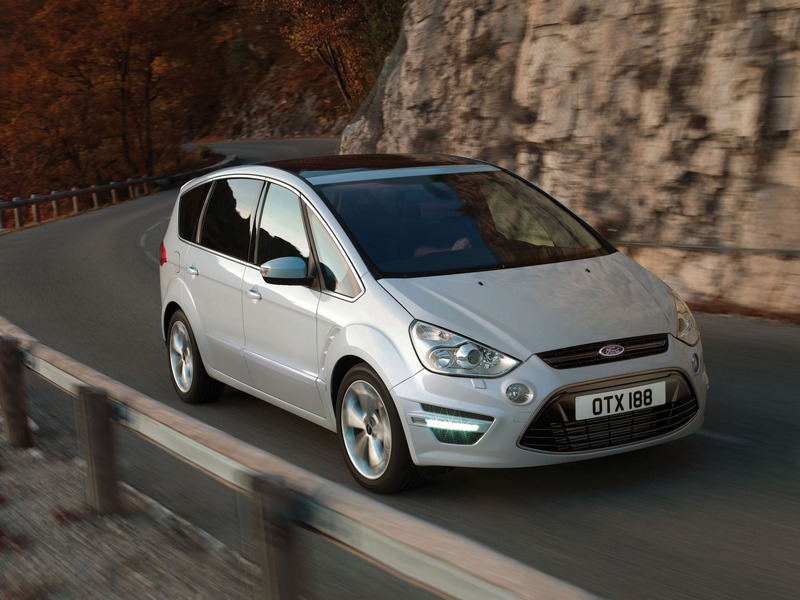 From the outset the new Ford S-MAX and Ford Galaxy were designed and developed to offer customers a premium travelling experience and, to achieve this, an already compelling range of features in the previous models was updated and broadened for even greater safety and comfort. Jörg Beyer, Ford of Europe's Vehicle Line Director for Large and Luxury Vehicles said: "The sheer number of Ford milestones we have delivered with the new S-MAX and Galaxy, in terms of vehicle design, powertrain technology and features, is big enough to make you think they are all-new vehicles. 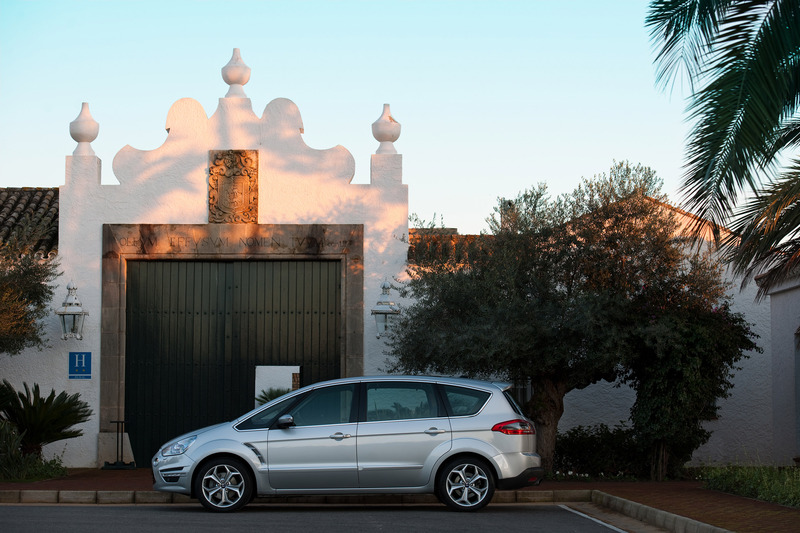 Our European Ford flagships deserve this treatment - and we are convinced that our customers will certainly appreciate it." 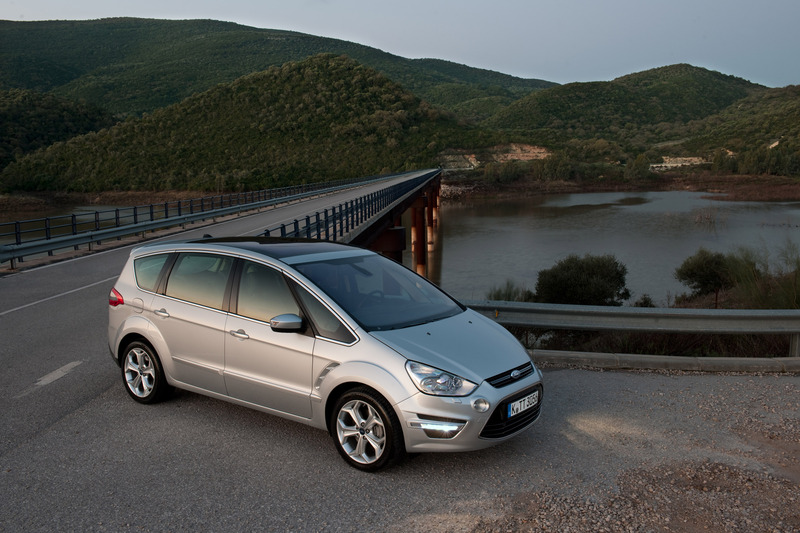 The new S-MAX and Galaxy are Ford of Europe's first vehicles to feature the new Blind Spot Information System (BLIS®). This radar-based facility encourages a driver to be even more conscientious in checking over their shoulder by warning of vehicles in their blind spot area. Also, the new Adjustable Speed Limiter Device (ASLD) is designed to help drivers set, and then not exceed, specific speed limits unintentionally - another first for Ford of Europe. Taking full advantage of the Ford S-MAX and Galaxy Controller Area Network (CAN) Bus electrical system capabilities, Ford is introducing an optional Rear Door Power Child Lock system with the new models. With this, the rear power window deactivation switch in the driver's door panel also combines with rear door power lock activation. High series versions of the new Ford S-MAX feature extensive applications of Light Emitting Diode technology, with LED daytime running lights as standard (optional on the Trend) and LED illumination inside. All versions fitted with the panorama roof also benefit. High series versions of both the S-MAX and Galaxy are also equipped with powerful courtesy lights located on the lower inside corners of the tailgate to illuminate the load area and all versions of both S-MAX and Galaxy come with LED tail lights as standard. Another new feature to contribute to 'First Class' travelling comfort is the Premium Sound System, which can be ordered for both Ford S-MAX and Ford Galaxy with High-Nav or Sony Audio system. DAB radio is also an optional feature. The comfort of passengers in both vehicles was also paramount in enhancing the performance of the climate control system, which now features a new ventilated temperature and humidity sensor mounted in the steering column shroud for more sensitive control of the cabin air. 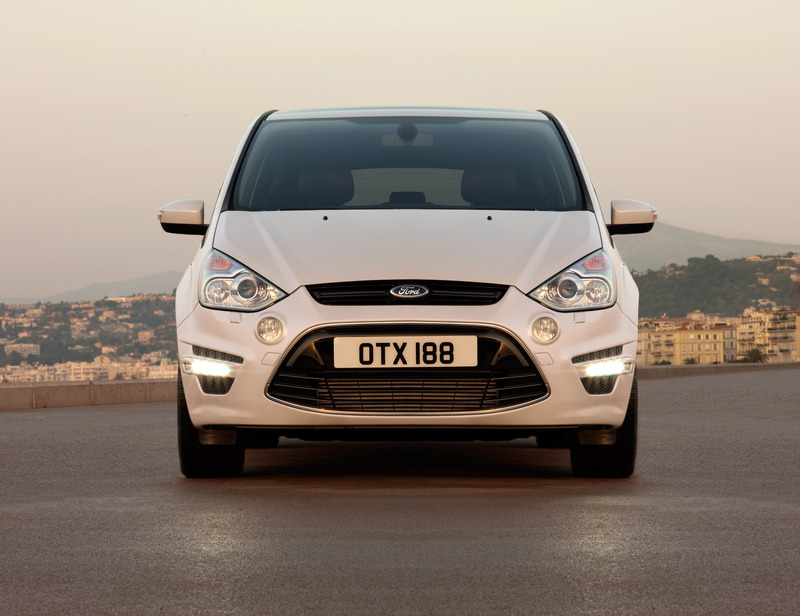 Additional trademark technologies already available on other Ford models are now being made available on S-MAX and Galaxy for the first time. 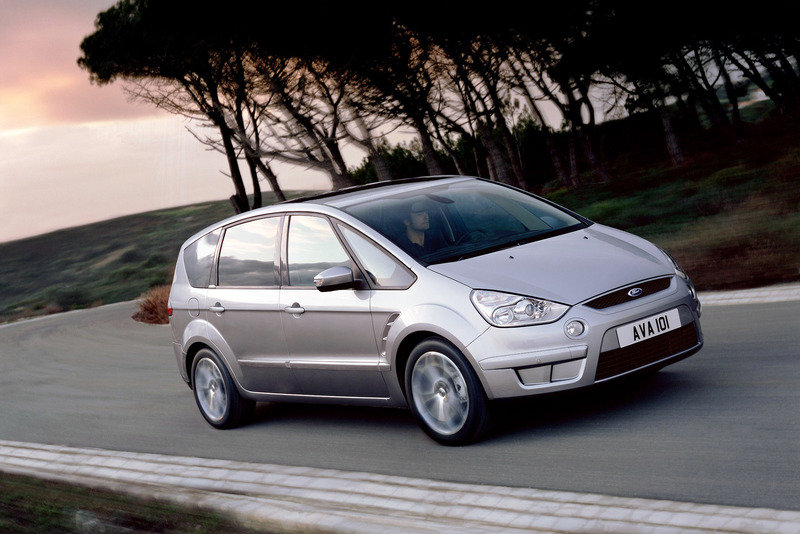 These include the Rear View Camera, Ford Keyless System and the award-winning Ford EasyFuel capless refuelling system. As with previous models, the new S-MAX and Galaxy share the same assembly line with the Mondeo at Ford of Europe's Genk manufacturing facility in Belgium. A highly sophisticated, flexible and lean manufacturing process allows Ford to adjust the sequence and production quantity of different vehicles within its large and luxury car range, ensuring that it can respond very quickly to changes in customer demand. More than 12 million vehicles have been built at the Genk plant since it opened in 1964. The Belgian facility is one of the most modern vehicle assembly plants in Europe, and a cornerstone of Ford of Europe's lean manufacturing strategy. It currently employs some 5,000 employees. "S-MAX and Galaxy were the first Ford vehicles to include elements of our 'kinetic design' styling theme," added John Fleming, "More importantly, they began to change the way that many people thought about the Ford brand. "As they sit alongside Mondeo at the top of the Ford range in Europe, it is essential that we use these models again as pioneers for the introduction of new and innovative technologies that will characterise Ford's ambitious product launch calendar for 2010," said Mr Fleming.